Greenbrier Real Estate Service in Lewisburg welcomes Arin Donahue, REALTOR®. 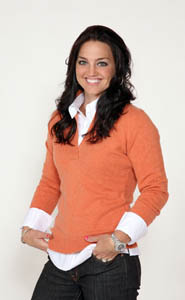 Arin is a New York native who moved to the Greenbrier Valley in 2007. As part owner of a development company in New York, Arin is no stranger to real estate. She specialized in property management which included 16 apartment units in four apartment complexes. She also owned a 9-hole Golf Course and had a 12-year professional career in management of a wholesale supplier to the second largest Supermarket in all of New York. Arin’s success in business is a direct result of her values, professionalism, integrity and focus. Arin enjoys the outdoors, golfing, hiking, being with her horses and dogs, and the relaxed country living of West Virginia. Arin resides in the Lewisburg area with her fiancé Steve Baldwin. Gregory Allman, Broker of Greenbrier Real Estate Service, said he is delighted to have Arin join Greenbrier Real Estate Service. "Her ambition and enthusiasm will be a great asset to our clients and customers." Arin can assist you with all of your real estate needs. To contact Arin call: 304.645.2255 office or direct 304.667.7057. Greenbrier Real Estate Service is located at 107 North Court Street in Lewisburg.